With our professional consultation & top quality products, your satisfaction is guaranteed! All of our products are fully covered by a 5 year warranty you can count on. Special discounts and offers to free consultations - we make sure to stay competitive! Enjoy the expansive collection of designs and styles we have on offer. 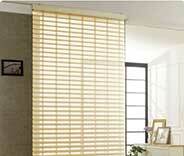 We carry the widest range of stylish blinds and shades at the best prices. If you want to reduce your energy spending while simultaneously giving a part of your property (or all of it) a unique look, then you should consider investing in cellular shades. Find out more here. Want to feel like Caesar? Well, the first step is simple. Get Roman shades installed. This type of window treatment can offer you complete privacy and perfect clear view, and is a great way to improve upon the design of any room. Learn more here. 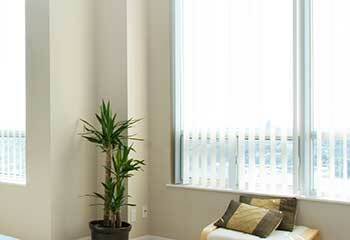 Sheer shades are a great affordable choice for many different types of properties. If you want to be able to easily and quickly switch between complete privacy and full natural lighting, then this type of window treatment may be perfect for you. Looking for low maintenance window treatments that give any home an elegant and beautiful look? Then layered shades may be perfect for you. Find out more here. Wouldn't it be amazing if you could control your property's window treatments automatically instead of having to draw and close them manually every time? Well, the motorized shades we offer can allow you to do exactly that. Learn more here. Roller shades have a lot of benefits and their simple, easy-to-use design and potential insulation enhancing quality can be a great addition to many residential and commercial properties. Find out more here. Need new window blinds for your office? There are plenty of options available to you, like motorized shades that you can control with a remote or a wall switch. Find out more here. From your kitchen to your bedroom, the use of shades or blinds to filter sunlight and add to the existing décor of your Agoura Hills or Westlake Village property is never a wrong move. But how do you know which type of covering will best go with the room in question? It can be hard to decide, certainly. There’s so much variety of options, from layered roller shades to beautiful faux wood blinds with grainy textures. Finding the right design for your interior fashion style takes a while. Of course, that’s not even half of it. You also have to choose the style of operation, as well as the degrees of additional features such as insulation and UV protection, that you’ll want your new shades to provide. Here’s some good news. You don’t have to make these decisions alone. 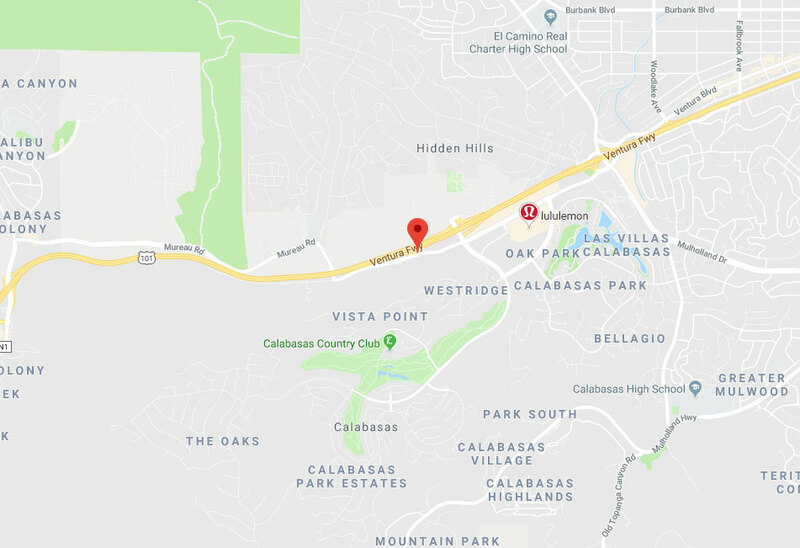 Calabasas Blinds & Shades is here to guide you through this process with a free in-person consultation at your Simi Valley home or office, whichever you prefer. Let us introduce you to a range of color and design templates, as well as a variety of stylish trims and cuts. Want the luxury and elegance of pleated Roman shades? How about the homey and classic appeal of wood blinds? 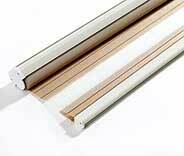 These, and many other window treatment options, are readily available. All you need to do is get in touch with us to have an expert come over and show them to you. Here at Calabasas Blinds & Shades, it’s our aim to help residents of the greater LA area to find affordable, functional, and beautiful coverings for their home or office windows. That means sitting down with each interested customer, listening to their needs and requirements, showing them our range of custom made shades and drapes, and making recommendations as to which type, style and design would be the most suitable. You don’t need to come to us, as our experts will happily travel from Thousand Oaks to Santa Monica to meet and consult you on all window treatment related topics. Apart from all the designs and styles mentioned earlier, there’s another key factor that any home or business owner near San Fernando should consider. What’s that? The operation method, of course. Hand-drawn blinds are no longer the prevalent type, and many property owners opt to now go with different types of electric window treatments. 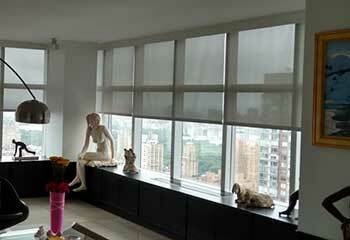 Now, motorized shades come in various versions, distinguished mainly by their power source and functioning. You can get hardwired motorized blinds that operate smoothly and symmetrically, or you can go with battery powered shades that can continue working during power outages. Heck, you can even get solar powered window blinds that harness energy from the sun to power their automatic movement. And that’s not all. Yep, you read that right. With the addition of special temperature and brightness sensors, ever so effortlessly perfected by brands such as Lutron and Somfy, you can nowadays get blinds and shades that correct their position in accordance to certain varying factors. Is it getting too bright outside? Your sheer shades will make the adjustment. Time to wake up? Don’t bother with the alarm clock. 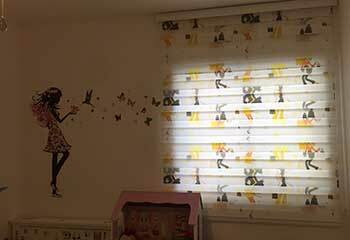 Let your vinyl blinds open automatically and enjoy waking up naturally to the sun’s warm early dawn rays. Find out all you need to know about window coverings by contacting Calabasas Blinds & Shades today and scheduling a free consultation appointment. The custom made shades you’re looking for are a phone call away. Our window covering specialists will gladly assist you to choose beautiful blinds for your home or office. We carry a broad range of styles to suit your home decor preferences. Our products are made from durable materials and will look great year after year. Check out some of our latest projects to learn how our experts helped other customers find the perfect window shades for them. 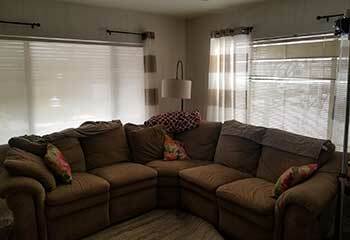 This customer wanted to install blinds behind the existing curtains for added privacy. Find out more here. We helped our customer control the temperature inside his home without eliminating the natural light. Click here to learn more. This customer needed help controlling the daylight coming into her home. This customer wanted a safer surrounding for her toddler. Here’s what we did. I had such a great experience working with your specialist. I knew exactly what I wanted after I had my free consultation, and getting new shades for all the bedrooms was a breeze. Everything looks great, thank you! Redecorating can become really stressful, but with the help of your trained specialist, I never had to worry about what type of blinds to get. The price was good, and the new shades look great. I was looking for an affordable yet fashionable solution for my home-office, and got a set of beautiful cellular shades for a bargain price. Thank you! Our company provides a wide range of window treatment products, from beautifully designed layered and cellular shades to patio sun shades and more. We're more than happy to offer free color samples and consultations, and our experts are ready to answer any question you may have. Take a look at the rest of our website to see some examples of the products we have to offer. Thank you for choosing Calabasas Blinds & Shades! Feel free to browse our website for more useful information until our appointment!